When her daughter began to express her desire for "yellow" hair and pale skin, Angelica Sweeting knew she had to take action. She dreamed up The Angelica Doll to reflect her little girl's beauty. It turns out that full size dolls for Black girls are pretty rare. 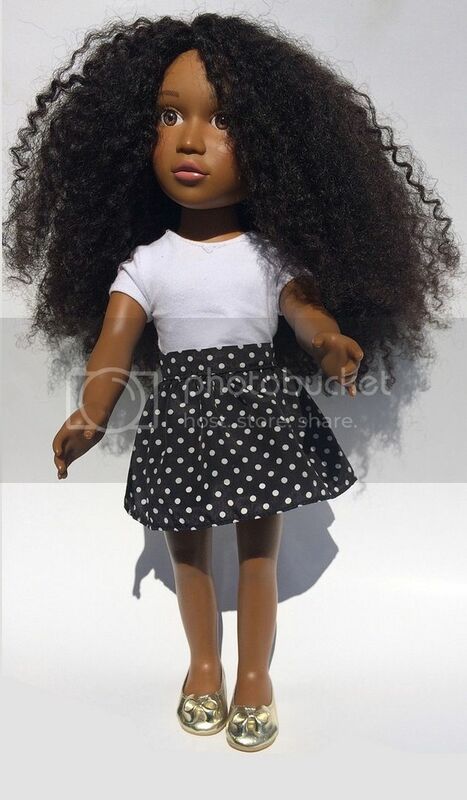 Sweeting bills Angelica as "the first natural hair 18-inch doll for young girls." That's astonishing and unacceptable, and Naturally Perfect dolls will fill a much needed niche. She's launched a crowdfunding campaign get the Angelica Doll produced. If you want to see it for your daughter, niece, sister or even yourself, be sure to support.